This is a complete kit with the most excellent damping setting to match up properties of pneumatic springs in order to increase the vehicle’s stability, unlike other brands come with non adjustable shock absorbers which causes the vehicle to be bouncy and unstable during cornering. Modifying upper mount, cutting car body or welding the OEM shock to the vehicle is not required when our kit is fitted to the vehicle unlike other brands. 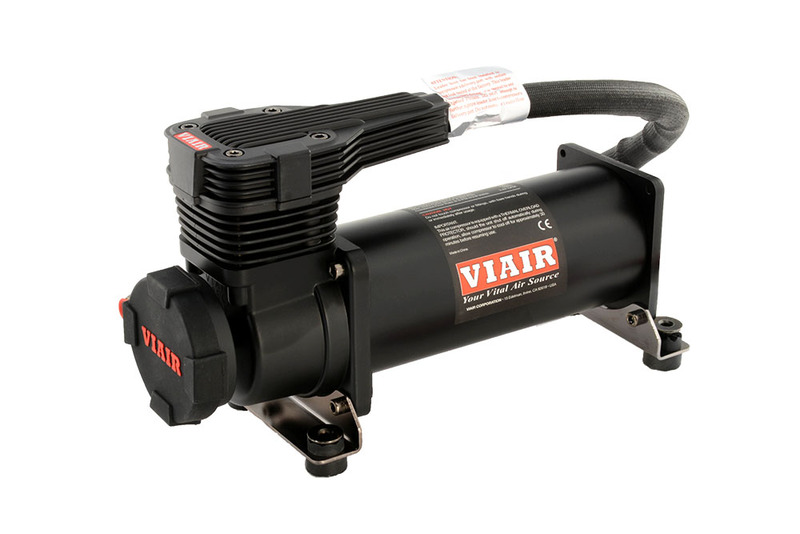 Not only is this system allowed to change air pressure, but you can also adjust the maximum and minimum ride height freely to match up a body kit to get the desired ride height, which is one of our products’ features that other brands do not have. This product includes a full set of shock absorbers. It is at your option to replace air bags with 4 x coil springs to make a full set of shock absorbers once an air management system is not fitted. (PS. 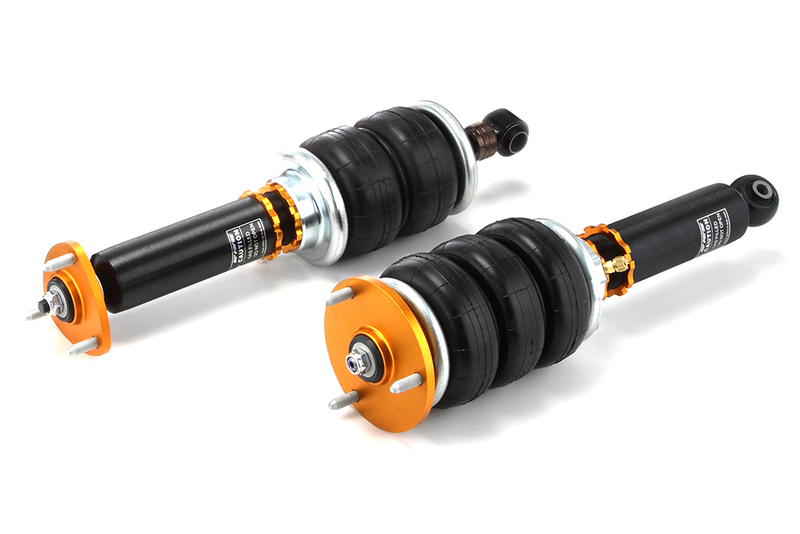 The high performance shock absorbers supplied with this kit are damping and ride height adjustable). This system is designed for easy bolt-on, it is not required to work with the O.E.M shock absorbers unlike other brands. This system has 36 levels of adjustable damping, ride height adjustable, including upper mount in the fronts and rears. The standard setting of McPherson strut is rubber top mounts, but you can choose to change the Pillowball top mount to have ability for adjusting the camber degree. 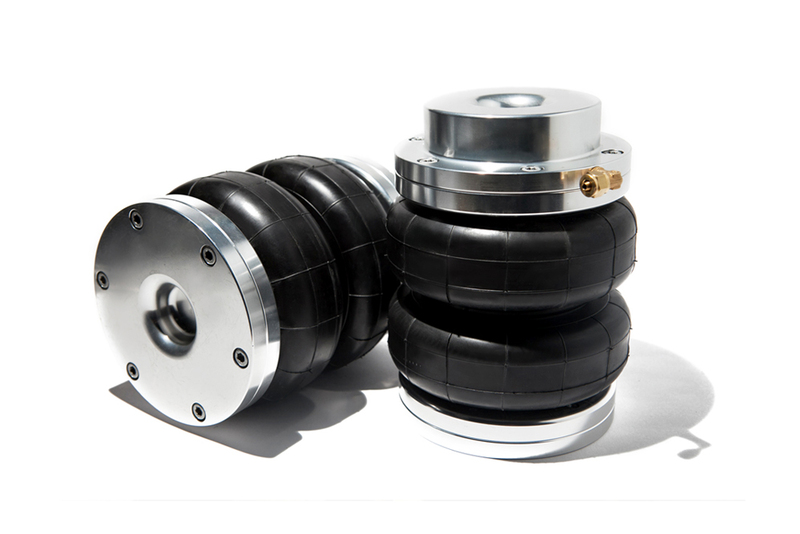 The top mounts that we have on air suspension will base on our standard setting. Also, a tire pressure gauge can be connected to the air tank to fill your tires; the air pressure in thetank is sufficient for the tire pressure gauge. 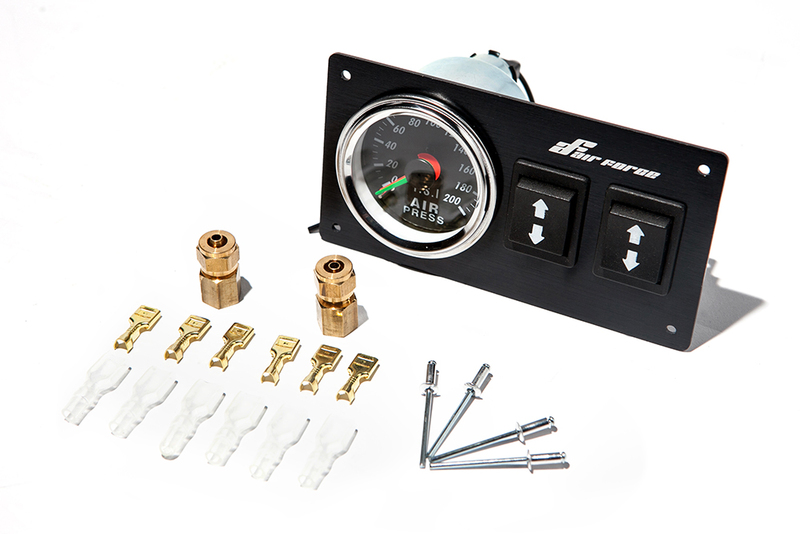 This kit supplied with a pressure gauge, you can easy to know the ride height in the car., and also adjusting the vehicle’s ride height is allowed when the vehicle is in motion. The speed of lowering and raising vehicle ride height is 4-7 seconds only. This kit comes with 4 x solenoid valves and 1 x wireless remote control which allow you to adjust the ride height while in or out of the car. The wireless remote control enables you to raise or lower the ride height for your personal preference or stop at certain ride height that you desire. All parts are collected in the monitor box so you won’t see any messy wires and parts. The features of this kit are demonstration, show-off and hookup. 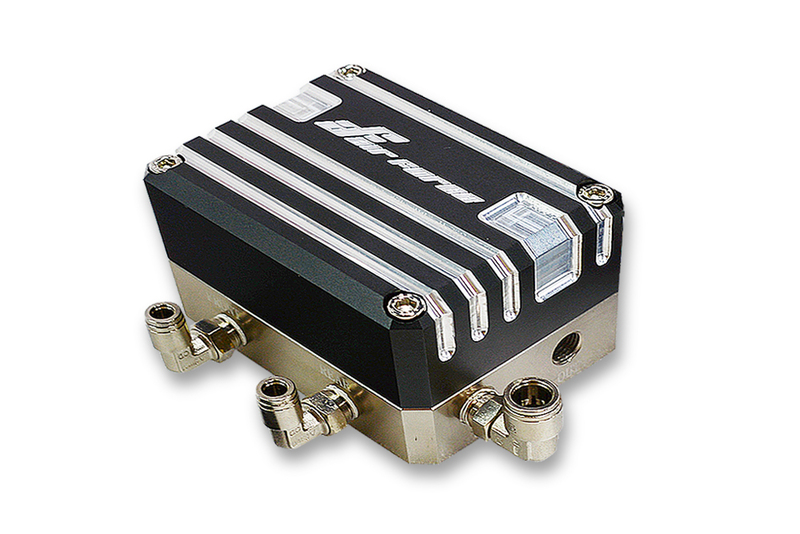 There is no complex wire setting; Fast installation within 3 hours, and no need to do any modifications except few models. 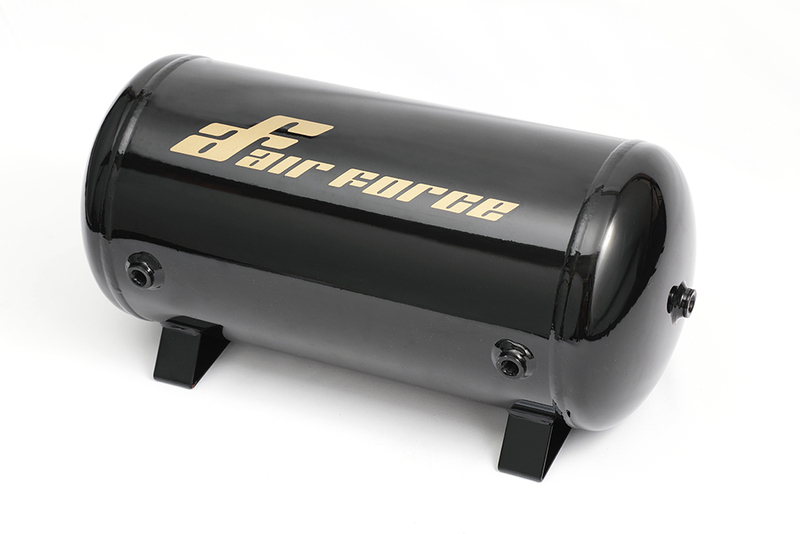 Shock absorbers, compressor, air bag has one year limited warranty. We authorize a well-known brand’s OEM factory to manufacture the electric control box and remote control. It’s been through testing around 6 months, we are confident with the quality, but if there is any break-down for the parts, customers must send back to Taiwan for repairing. (It’s a common warranty for all electric products). After inspecting, if the break down is caused by flooded or throwing down heavily, it won’t be under warranty.